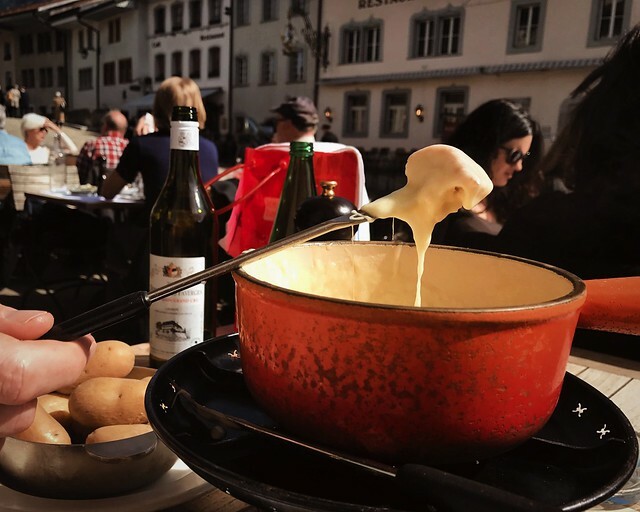 It may seem clichè, but there is no denying that fondue is Switzerland's unofficial national dish. Originally an easy way for Alpine dwellers to dine on farm cheese and home-baked bread during the winter months, today this ultimate comfort food is served in homes and restaurants across the country. Try the classic fondue moitié-moitié made with Gruyère AOP and Vacherin Fribourgeois AOP cheeses melted together with a dash of wine and kirsch and a bit of garlic, paired with crusty bread for dunking. Though you can find fondue all year long, this is essentially a bracing winter dish best tried between autumn an spring. Another cheesy dish that was once a winter staple for farmers in the Canton of Valais but is now quite common across the country is semi-hard Raclette AOP grilled slowly over a fire (though there are now modern raclette-toasters). As the outer layer of the wheel of cheese melts to almost toasted, it is scraped off over plates of potatoes, cold cuts, and pickled cucumber and onions. Like fondue, raclette is a social dish most often consumed with a group of family or friends and paired with Fendant wine or Kirsch. This rib-sticking dish is especially enjoyable during the cold winter months, ideally after a long day of skiing. Almost as important as cheese, potatoes are a staple in many regional and national dishes in Switzerland. 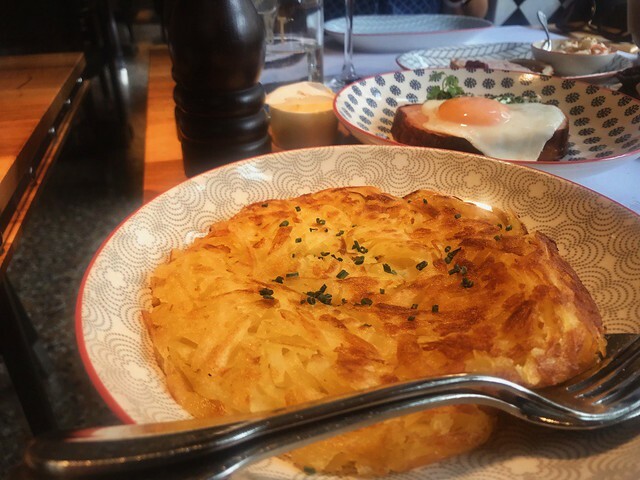 Perhaps their most emblematic preparation is as rösti, or grated and pan-fried until golden on the outside and tender on the inside. 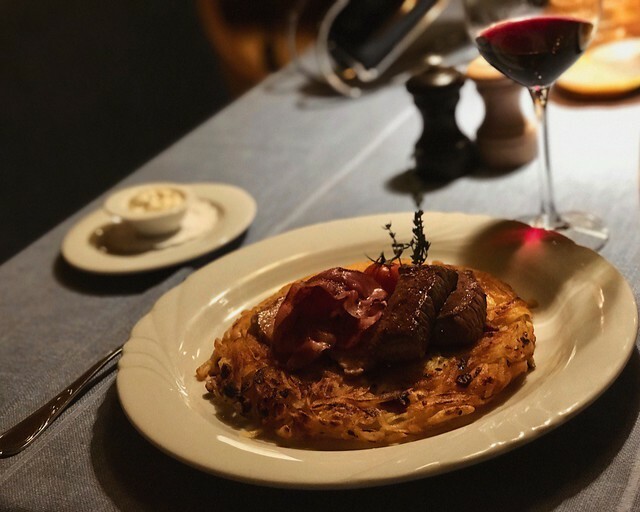 A cousin to hashbrowns, rösti began as a breakfast dish in the Canton of Bern, but now is served also for lunch and dinner throughout the country. The richest version is Rösti Valaisanne from the Canton of Valais, served topped with a fried egg, bacon, and Raclette (see above), with a side of pickled cucumbers and onions. Originating in the Suisse Romande, or western French-speaking area of Switzlerand, this local specialty combines thinly sliced potatoes, caramelized onions, fried bacon, and creamy Reblochon AOP cheese made in the department of Haute-Savoie just across the border in France. 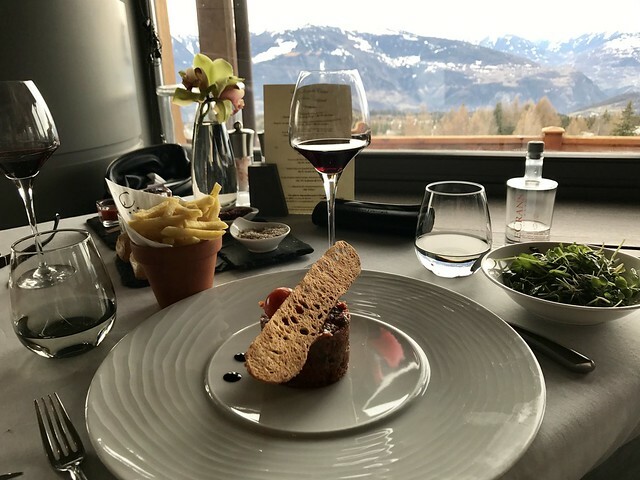 This type of cheese has been produced since the 16th century, but tartiflette came into fashion in the 1980s and is now a staple dish at Suisse-Romande ski resorts and is an excellent example of the melding of French and Swiss cuisine in this area of Switzerland. Another French-influenced dish, Papet Vaudois is a leek-and-potato mash stewed for hours until mild, and then served as a bed of the local saucisson Vaudois, a type of large link sausage made in the Canton of Vaud. The most famous dish in this area of Suisse Romande, Papet Vaudois is a must after a day of hiking. To taste how Italian and Swiss cuisine have combined, head south to the Italian-speaking Canton of Ticino to tuck into a steaming dish of polenta. This cornmeal porridge cooked slowly over a wood fire in a large copper pot is a staple across the Alps in northern Italy, and in Ticino you can enjoy it topped with a layer of melted Gruyère AOP or a rich stew of wine-braised beef. A filling dish, polenta is perfect for a cold winter dinner. 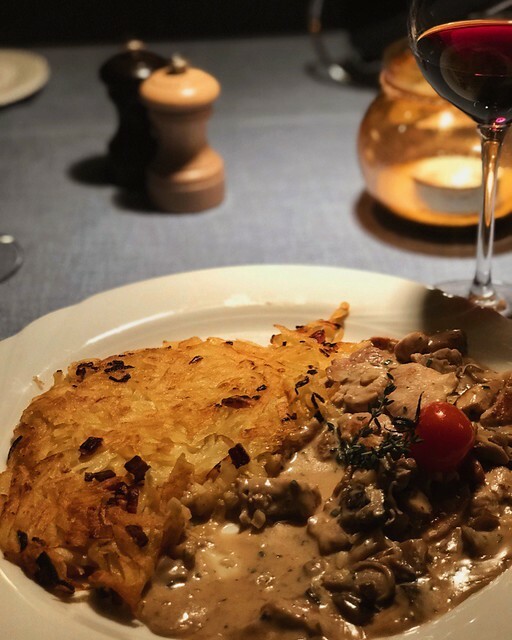 Switzerland's German roots come out in this veal dish that originates from Zürich. A rich stew made from veal, kidney, and sweetbreads cooked with onions, mushrooms, white wine, and cream, and mushrooms, this traditional dish was once a regional specialty but can now be found on menus across the country.